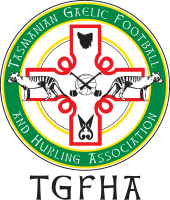 This is a social Gaelic football competition for men and women aged 14 and up. The emphasis is on fun, fitness, good sportsmanship and a relaxed playing environment. The Social League season for 2019 will commences around October with venue to be advised. If you aren't bringing an entire team, register as an individual and we will find you a team! Below is a summary of the key rule changes from standard Gaelic football and of the playing rules for the Social Mixed football competition. 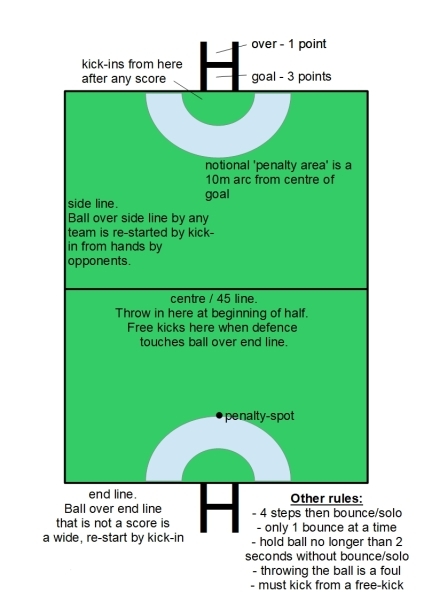 To learn more about the general rules and game play of Gaelic football, see here . Please contact us if you are interested and we will let you know when our trainings and warm up matches begin. Round 1 - Wed 14 November all players must be registered TGFHA provides all match equipment all games at Parliament St reserve all games Wed evening definitive roster below change rooms available at ground DON'T FORGET TO HAVE FUN! There will be a player of the round award each week ($30 voucher Irish Murphy's) and a player of the season for the whole competition overall ($100 voucher Irish Murphy's + trophy). Awards are given for improvement, efforts, sportsmanship and skill and are judged by the referees. The voucher awards are kindly sponsored by Irish Murphy's pub, Salamanca and we thank them for their generosity. The Social League is supported by a grant from the Global Games Development Fund through the Department of Foreign Affairs and Trade of the Republic of Ireland.